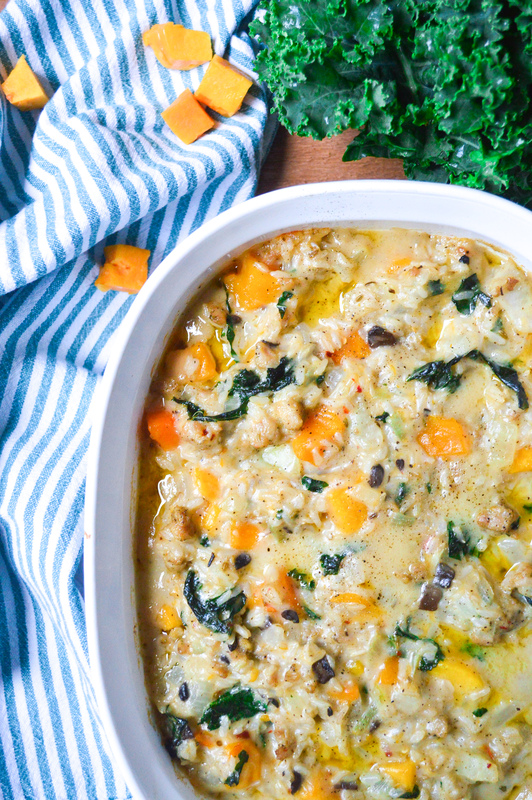 Here comes another great fall-inspired casserole to solve all your ‘what to cook for dinner’ problems. 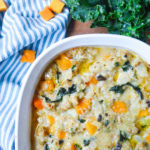 That’s the great thing about casseroles- they’re easy to prepare, and everything bakes up together so nicely to create a well rounded, hearty meal. 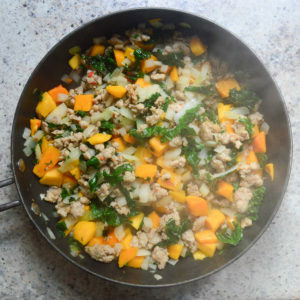 This time we’re loading up with fresh butternut squash, kale, brown rice, Italian chicken sausage, onion, cheese, and cream of mushroom soup. It’s a great way to use up any leftover rice. Cooked quinoa works equally as well. 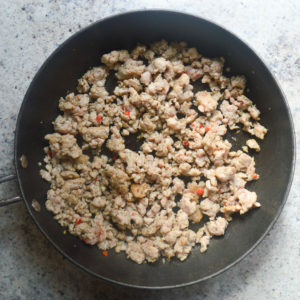 There’s a subtle spicy kick from some crushed red pepper, plus we’re using lean chicken sausage- Italian style, which has some natural spiciness. If you want to tone it down, just cut back on the red pepper. 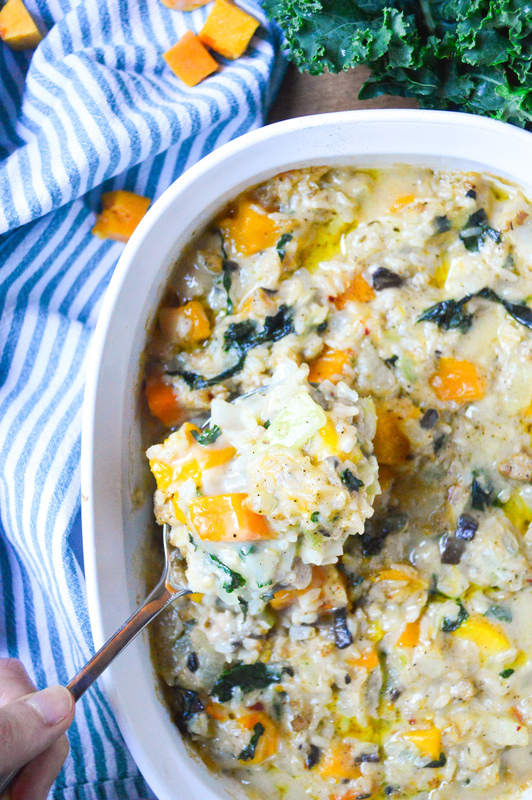 I’m so excited to dive into this casserole and live there for the next 30 minutes. I love the fresh veggies that come with fall. 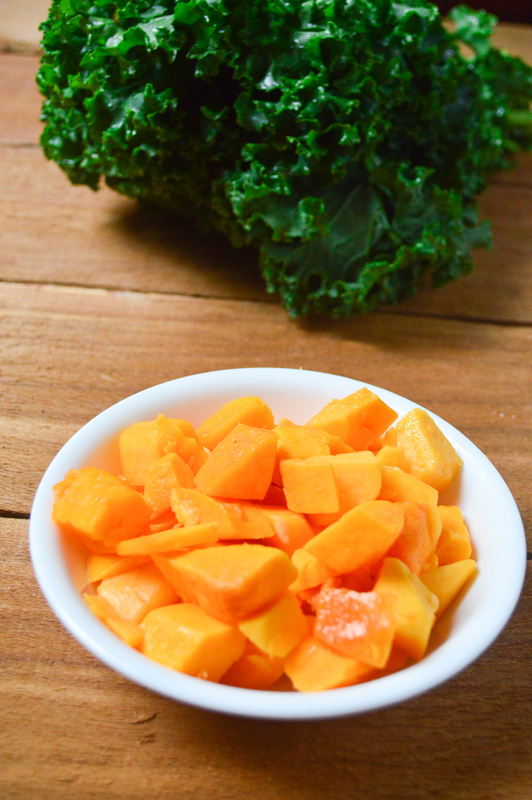 You’ll need 2 cups of cubed butternut squash, and 2 cups of freshly chopped kale. If you’re looking for a great way to use up the rest of your kale bunch, have at this Lemon and Kale Pasta Salad. Heat a large skillet over medium heat and add 1 tablespoon of olive oil. 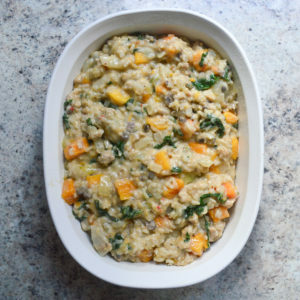 Crumble in a pound of Italian chicken sausage and break up any large clumps. Italian Chicken Sausage combines the fennel, garlic and herbs of traditional Italian sausage with the added taste of red peppers and low fat, skinless chicken. It’s a win-win for me; I prefer the taste and it cuts the fat content in half. Go ahead and use pork Italian sausage if that’s your preference. Stir until the meat is no longer pink. 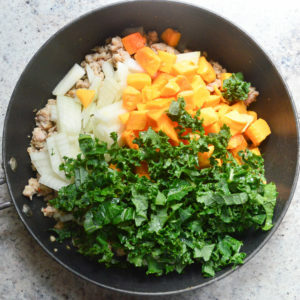 Add in the remaining oil, onion, kale, and butternut squash. Saute until the onion is translucent and the squash is tender, about 5 minutes. 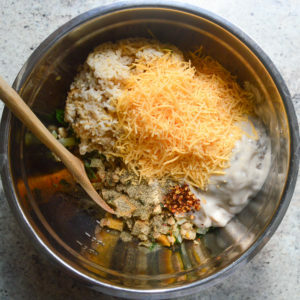 Transfer everything to a large mixing bowl and stir in the remaining ingredients. Mix to combine. Transfer to a greased 9×9 inch baking dish and bake at 350 for 25-30 minutes or until bubbly and slightly browned. Let cool for about 5 minutes before serving. 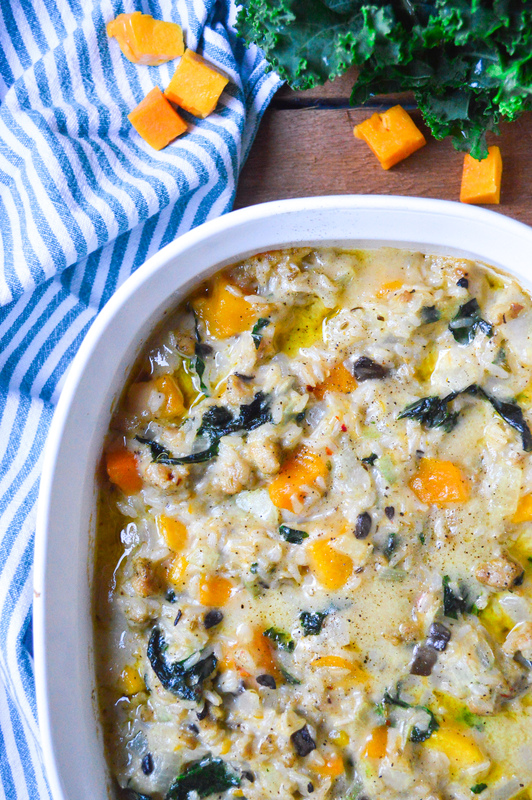 This fall-inspired butternut squash, kale and brown rice casserole solves all your 'what to cook for dinner' problems. Preheat oven to 350 and lightly grease a 9x9 inch baking dish with non stick spray. Heat a large skillet over medium heat and add 1 tablespoon of olive oil. Add in the sausage and stir until broken up and browned. 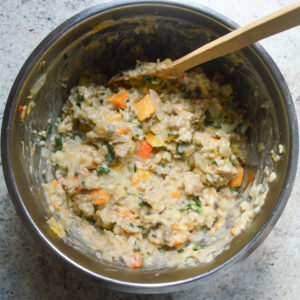 Transfer to a large mixing bowl and stir in the remaining ingredients. Mix to combine. Transfer to the prepared baking dish and bake for 25-30 minutes or until bubbly and slightly browned. Let cool for 5 minutes before serving.